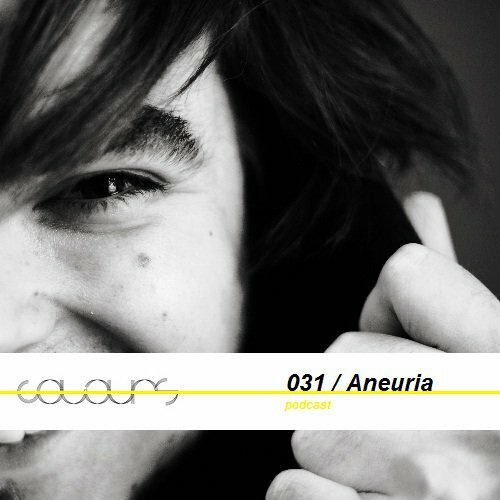 This thursday night COLOURS mix comes from a key artist from Slovenia! Head of Gilesku Records, co-manager of Colours club nights at K4, member of Jesus Loved You collective, close Recon Warriors associate and a household name on Europe’s leading underground imprints. Aneuria’s made a name blending colorful organic house (jackin’, deep, tech-house) with techno patterns, often decorated with sounds of nature and everyday life. His output is dance production, frequently flirting with jazz and ethno elements, thus also working perfectly as a home-listening soundtrack. As an artist he’s closely bound to names such as Ian F, Tomy DeClerque, KayKay and Dejan Milicevic, established artists and co-workers of leading EDM producers and leading pop musicians. Year 2010 was full of new recognitions for Aneuria. He discovered different aspect of his soul & feelings as well as a new perception of human bonding - to life. As one thing leads to another, it seemed the right moment for him to express this in music. He decided to take a different aproach to his music production, more gentle, much more feelings, in the end - much more musical... Lately he is focused on his debut album 'Love is enough' under his alias name Gilesku over which he'll try to express this new experience, trying to show his other side of the soul and heart. Soften beats, jazzy and deep melodies that make you smile, make you think and sometimes even cry. It definitely is a mirror of his soul that is passing through this transition. He is also focusing on his own label called Gilesku records which will see the light in March. Releases will be vinyl limited with philosophy of music for home listening and clubbing. Two vinyls, one for day - easy and soulful - and one for night time - groovy beats. Last but not the least...F.O.A. (Fusion of Art) is a project with his studio brother KayKay. Really unique mixing of deep electronica grooves with gipsy flavored melodics, it's simply something special and will make your heart start beating faster and faster. The whole project started spontaneously in the winter of 2009/2010 but needed some time to grow even bigger, to reconsider the concept and it's crystal clear now and makes perfect sense - when you hear old gipsy traditions your heart chakras opens - and that's what is needed in these days in the musical world. Sometimes past is your best friend if it helps you find better future.